BSES BILL PAYMENT bses bill payment and bses duplicate bill – Now consumers of BSES in Delhi can pay the bill online and offline using payment option available here. In 2002, the Delhi Vidyut Board was transferred to BSES Yamuna Power Limited (BYPL) and BSES Rajdhani Power Limited (BRPL). These limited are providing electricity to More than 33.96 lakhs customer in Delhi. As customers are large so consumer wants to pay bill various methods. Therefore, we are here to write some information and details about BSES Bill Payment in 2015, and we will cover How to get the duplicate bill and make payment online. BSES Bill Payment will be with various methods and if you want to know, how to pay the bill online and offline then go to official website bsesdelhi.com and read details there. 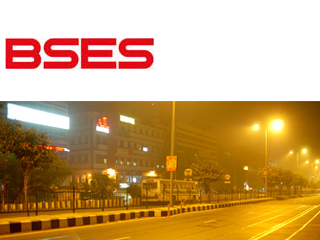 However, we are also helping you to make payment of BSES Bill 2015 here. For Duplicate Bill Copy, Kindly Register Yourself in My Account, Under My Details section link of BSESDELHI.COM. BSES Duplication Bill – Customers are ready to want to pay online and wish to view bses bill details with History. They can download BSES Bill using the link called http://pdfdupbill.bsesdelhi.com/. You need to visit the link and enter your Customer ID and click on submit button you do not need to log in. You can pay bses electrical bills online and offline both method. If you have any question for bses duplicate bill download, then comment below. Use any valid Visa, Mastercard, Diners or Amex Credit Card, or pay through your Net Banking account with Citibank, IDBI Bank, Axis Bank, OBC, SBI or Punjab National Bank. More banks will be added shortly. Note: Your payment will be credited into your BSES account within 3 working days. can i just take the print of the bill i dont want to pay it online…. THANK you very much about this. Thanks for sharing this, i like your bses duplicate bill in delhi.